you need the whole person fitness of martial arts training. and motivational support to awaken the spirit. 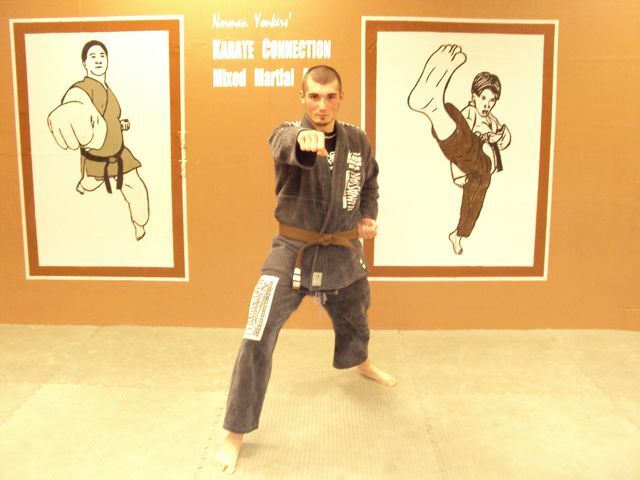 Our adult curriculum, is a composite system founded by Shihan Norman Yonkers. and mixed martial arts under the Hayastan Grappling system. Our kickboxing/mma program is a dynamic class designed to utilize knees and elbows as well as kicks and boxing strikes. Our kickboxing class teaches proper striking techniques and improves endurance, stamina, speed, power and balance. It also prepares students to prevent take downs and to obtain control in close-quarter combat. We blend Muay Thai, Karate, and Tae Kwon Do with Wrestling and Judo take-downs, and take-down defenses in this non-traditional class. We also work on moving seamlessly from striking to Grappling and back again. This class can be used as your only style but we recommend training in this class along with the grappling class if you are interested in becoming completely well rounded in mixed martial arts. This class is also well suited for men and women who are not interested in becoming the next MMA Superstar; but who are just looking for the best workout ever! The Hayastan Submission Grappling program is a compilation of traditional Jujitsu, Judo, Wrestling and Russian Sambo. 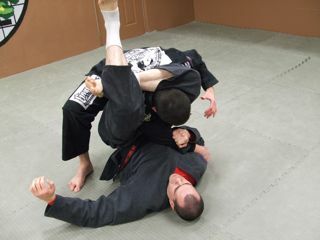 It is primarily a ground-grappling art that consists of throws, arm locks, leg locks and controlling techniques. These techniques are blended with modern self-defense techniques, such as those seen in MMA tournaments. Gokor Chivichyan and his instructor “Judo” Gene LeBell. Sensei Gokor is a world champion in Judo, Jujitsu, Sambo and MMA competition.